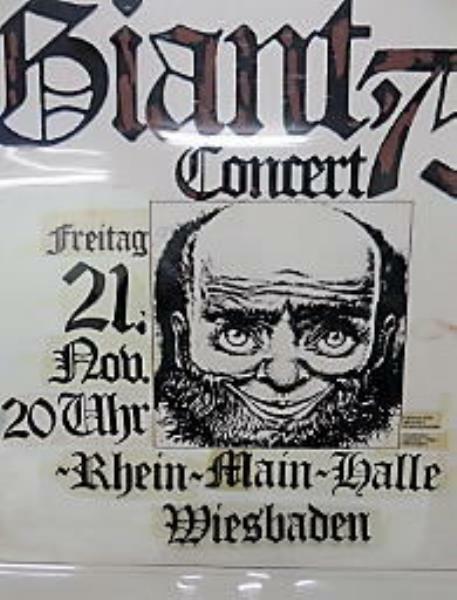 -Gentle Giant: Rhein Main Halle Wiesbaden DE 21.11.1975, ULTRARare and unique 1975 original Printing Film / Lithographie for relative "Günther Kieser" 1975 concert poster!! This is the original printing film (these were used to burn the printing plates, which in turn were used to print the poster). They are an essential part of the original art/printing process...and look very very cool. 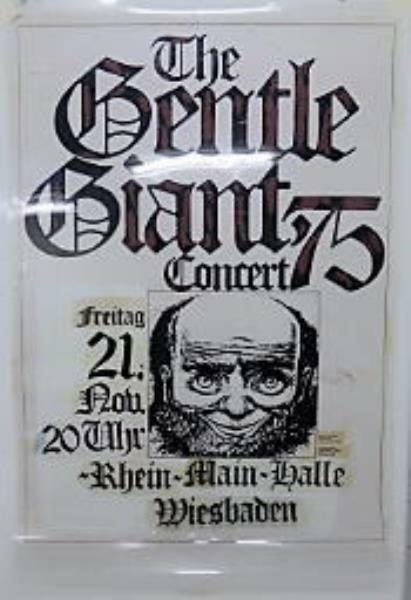 They were used to print the promotional posters for a November 21, 1975 GENTLE GIANT show at the Rhein Main Halle Wiesbaden, Germany. The original Poster for this small Tour was black and white. Incredible and certainly unique psychedelic imagery comes courtesy of German poster artist extraordinaire, Günther Kieser (certainly one of his more popular images).This item have been in the possession of the printer for the past 44 years. The film measure approximately 24" x 33 1/4" (film is a little bit bigger than the poster), and the film remains in uncirculated condition. This is a one-time opportunity...only one of this printing film exists.!! Incredible framed! !